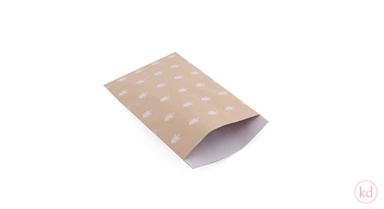 Next to the Wrapping paper, we also have these beautiful brown kraft Christmas flatbags! 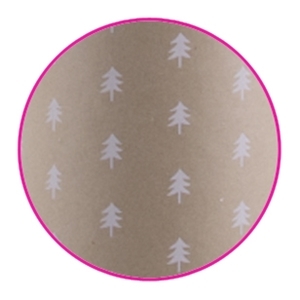 This beautiful design comes with many little hand-drawn Christmas trees in white. 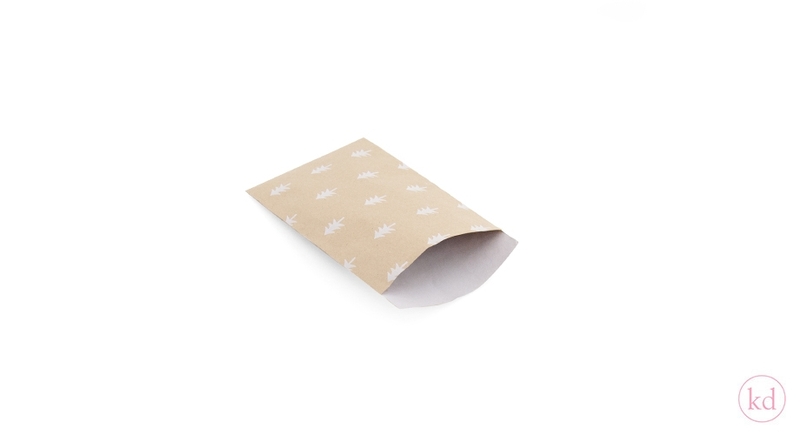 These flatbags will surely give your gift a stunning natural look! We have many ribbons available which you can combine this design with. Find the ribbon that suits you best, and et voila, the perfect gift, quick and easy.